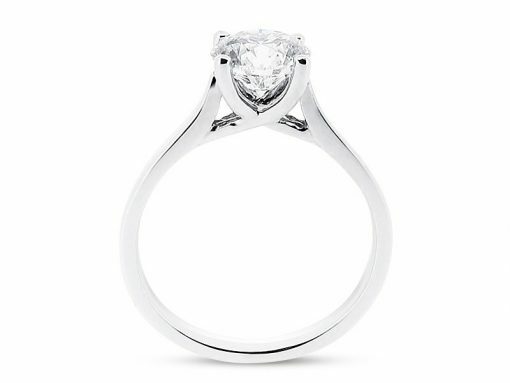 This impressive solitaire Comprises of a round shaped diamond in a cross-link setting. The shoulders are tapered and can easily be set with your favourite gemstone. Voltaire Diamonds can custom make this ring for you starting from approximately €1,500 and will advise you on the quality of stones. 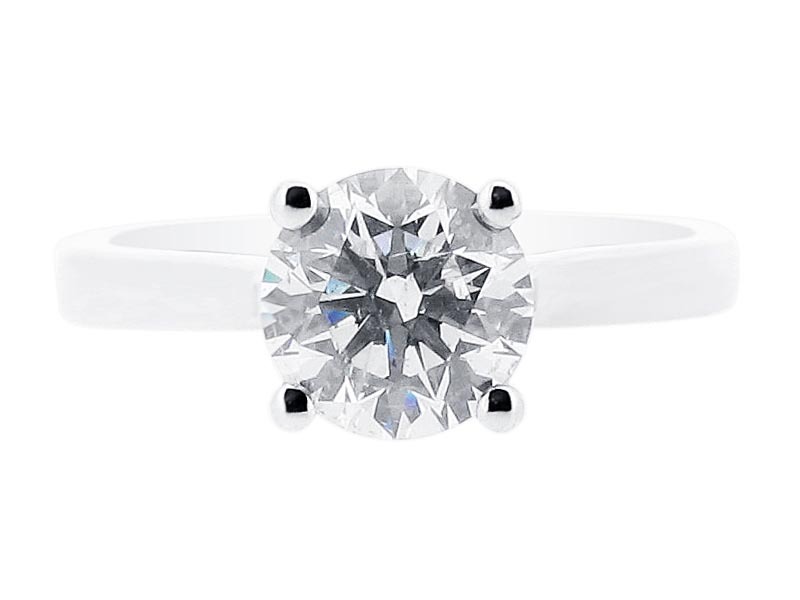 We will source the perfect diamonds for you. We are also happy to make this style with other gemstones such as sapphires, emeralds, and rubies. This ring can be set into 18k yellow, rose, and white gold, and platinum. Voltaire Diamonds have a wide selection of diamonds available with diamond grading reports from GIA, IGI, and HRD.